Ever fancied a Sunday Roast but missed the lunchtime boat? 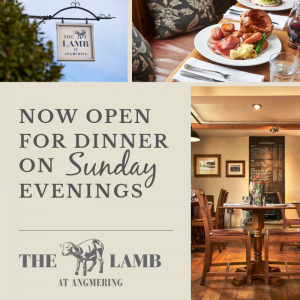 Worry no more, at The Lamb you can enjoy our usual Sunday Lunch menu on Sunday evenings too! Serving the same delicious food our customers have come to expect on Sunday lunchtimes, late evening is set to be just as popular. 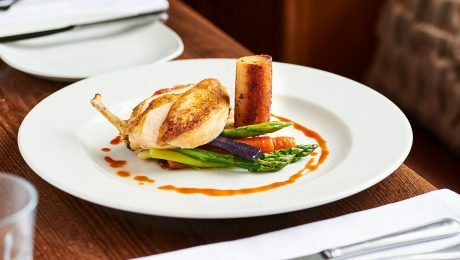 We are usually fully booked in advance for Sunday lunch so this will give our loyal clientele a second chance to be able to secure a table to enjoy their favourite meal of the week! Once the festive madness has been and gone for another year, the early months of a new year can be a struggle to get up for! That’s why we like to bring our village a little closer with our ever-popular Village Nights. The first of the year is due to take place on Tuesday 5th March, we welcome all guests but booking ahead is essential and spaces fill up fast! 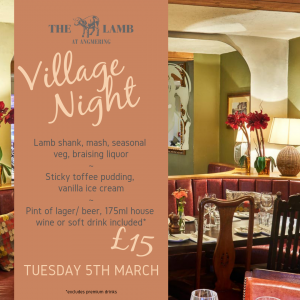 The 2 course menu for our first Village Night for 2019 features a delightful lamb shank dish with mash of course, followed by our famous sticky toffee pudding. For all this, plus a pint of beer, house wine or soft drink included, the price is just £15 per head which is exceptional value. Village Nights have become synonymous with superb food and company with our village customers filling The Lamb with their voices and laughter making it a very special night indeed. A second night is due to take place in April with the date to be announced soon. With the festive season almost upon us, the shops are certainly gearing up, many people are now looking at how to see their friends and family during December. We have already seen lots of bookings come in for our Christmas menu and in particular for our Christmas party menu! For groups up to 8 in size, our a la carte Christmas menu (available from 1st -24th December) features some delicious highlights including, of course, the traditional Roast Turkey, sprouts, pigs in blankets and all the trimmings but also a slow roast pork belly, roast and confit rib of beef, pan fried seabass and a delightful mushroom and potato dauphinoise tart. These festive specials sit alongside some of our usual classics, with plenty to choose to suit all tastes. Our homemade Christmas pudding is sure to be a hit with lashings of brandy sauce, but the dark chocolate and cherry brownie or the poached pear frangipane tart could be the winning desserts for some. For groups of 9 or more, guests are invited to choose from our Party Menu. This is a set menu with 2 courses priced at £22.50 or 3 courses for £27.50. 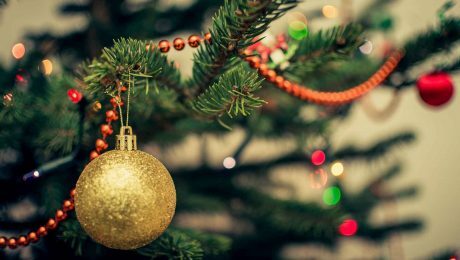 Plenty of festive choice including all the traditional options feature on this menu, which will be perfect for your office ‘do’ or when catching up with your wider family. This menu is available throughout December and January, so there is plenty of time to find that date you can all make! 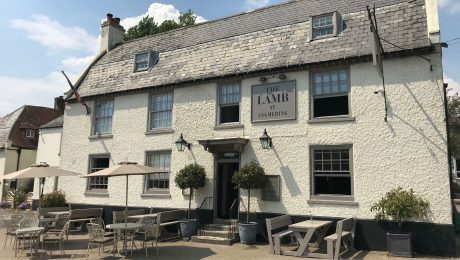 We are very proud to announce that following a recent inspection, The Lamb has been accredited with the Cask Marque denoting the quality of our cask ale. Cask Marque is an independent company, therefore their decision to award the Lamb with their seal of approval is fantastic, and our customers can be assured that we will continue to make the grade! According to their website the Cask Marque team of qualified assessors visit over 10,000 pubs which hold the award. They test for temperature, appearance, aroma and taste. All beers must make the grade to pass the visit and obtain their accreditation. 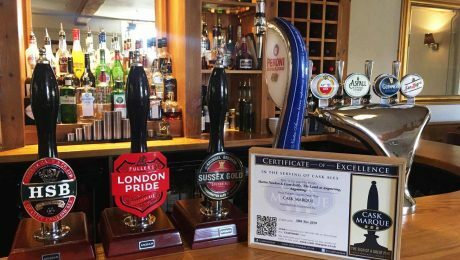 They report that independent research shows that over three quarters of beer drinkers recognise the Cask Marque as a badge of quality, which makes us even more proud to have our certificate on display. 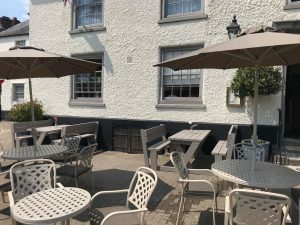 As part of the scheme, we now have a listing on the Cask Marque website and their app, for discerning drinkers who like to check that the pub they are going to visit meets the high standards required to appear. 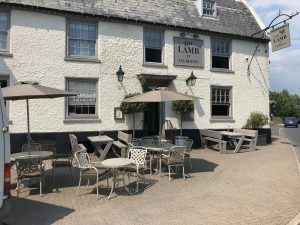 We regularly update our menus at The Lamb, our West Sussex gastropub situated in the village of Angmering, just a stone’s throw from the sea, the downs and market towns of Arundel and Chichester. 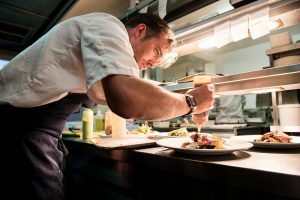 Changing our menus ensures we can offer the freshest, most local and of course seasonal ingredients to our visitors, who can expect something different each time they return. 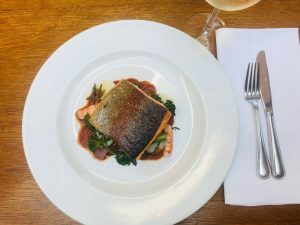 In addition, we regularly offer special dishes alongside our a la carte menu to tickle the taste buds of our regular diners, and first-time visitors, alike. 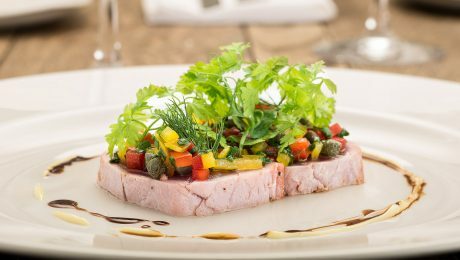 Recent specials have included a starter of pork and pistachio pate, with a tomato chutney, dressed leaves and a toasted brioche, and a delightful pan seared duck breast with creamy mash, sautéed wild mushrooms and a red wine jus. To view our current menus, please visit this page, or to book a table click here. Getting together with friends and family is the best bit about Christmas; especially when it’s over a table of delicious, seasonal food. What’s even better is when it’s prepared for you by a team of skilled chefs to be enjoyed in snug surroundings, close to a roaring fire and with plenty of good wine flowing. That’s the experience we aim for with our festive menu at The Lamb, and our selection this year is bound to get you in a cosy Christmas mood, whether you’re enjoying a small gathering with your nearest and dearest, or a festive celebration with your work colleagues. For groups up to and including 8 people, our a la carte menu is perfect, allowing you to pick and choose between courses. The starters boast dishes that include venison, smoked salmon, and of course, cheese; well, it is Christmas! When it comes to mains, a festive menu wouldn’t be complete without a turkey option, and at The Lamb this can be enjoyed with sprouts, roast potatoes, parsnips, and even chestnuts! There are also tasty fish options, as well as pork, beef, and a beautiful mushroom dish suitable for vegetarians. The desserts feature our homemade christmas pudding, as well as a whole host of other sweet treats! See the entire a la carte menu here. For groups of 9 or more, we have a set menu that makes it simple to enjoy a festive evening with a large group of friends, or an office Christmas meal. 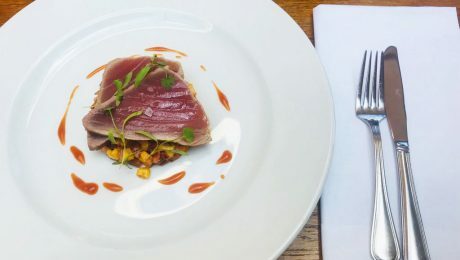 Featuring many tasty options from the a la carte selection, two courses are just £22 per person, and three courses are £27. 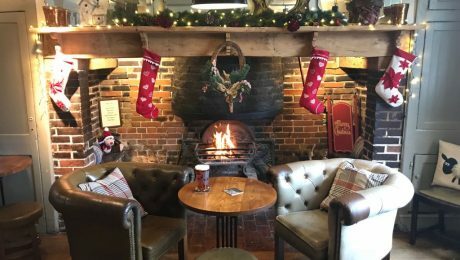 We’re the perfect christmas party venue in West Sussex, combining fine food with a cosy, festive atmosphere; all complimented by our high standards of service. See the entire party menu here. Looking forward to a merry meal at The Lamb with your family, friends or colleagues? Book with us on 01903 774300. Our Sunday roasts in West Sussex take some beating! It’s a treasured tradition throughout our nation – the classic Sunday roast. Filling, tasty, and with a heavenly ratio of meat to potatoes, the perfect Sunday roast is something to look forward to with friends and family. However, having this famous meal at home takes a lot of time and effort – prepping everything beforehand plus the washing up means you’re saying goodbye to a good portion of your Sunday afternoon – a sacred part of the weekend in which to relax before the week starts. The Lamb gives you the best of both worlds – a perfectly cooked roast for you to enjoy without the stress before and after! For us, the classic Sunday roast can only be improved by making it a three course meal. 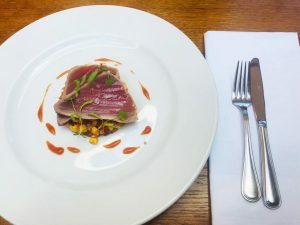 Our talented team in the kitchen have put together a delicious selection of smaller meals to precede the main event, and these, like our main menus, change to reflect seasonality. 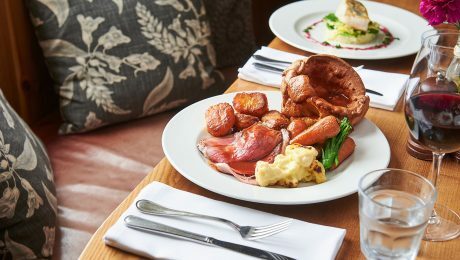 If you’re after a traditional Sunday roast, then that’s exactly what you can have; choose from roast topside of beef, leg of lamb, or loin of pork. For vegetarians, our mushroom tagliatelle is a fantastic meat free alternative, or if you’re a fish lover, there’s pan fried cod on the menu too! If you’re simply more of a grazer, we have a selection of pressed meats with a variety of trimmings to get your teeth into. View our sample menu here. After all that savoury, you’ll probably still have room for sweet, and we’ve got some delights on the dessert menu! Our chef is always producing beautiful desserts, combining flavours to create unbeatable sweets; plus there’s the classic selection of ice creams, and a cheese board! 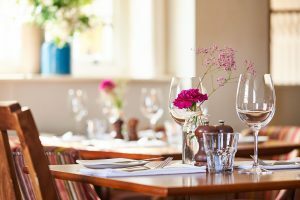 Our Sunday roasts in West Sussex are very popular indeed, so it’s advisable to book for your special weekend meal. 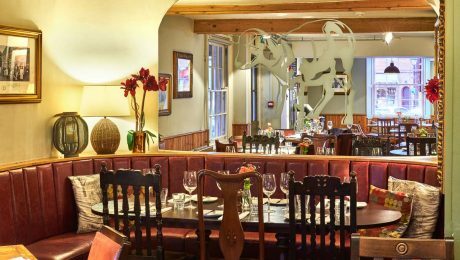 You can reserve a table through this handy page of our website – we look forward to seeing you soon!